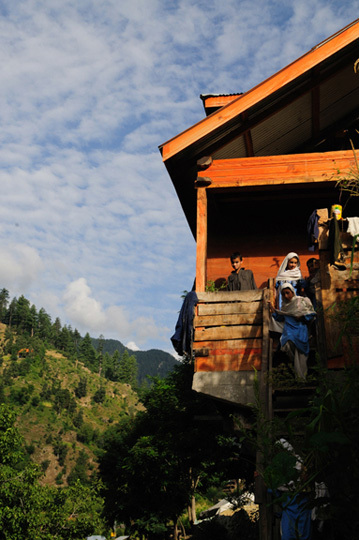 Children leave their wood cabin classroom perched on a mountain side in the Neelum Valley, a 200 kilometre long valley. It runs along the Neelum River (known as Kishanganga pre-Partition) and is considered to be the most picturesque of Kashmir’s valleys. It is famous for its scenic beauty, fir forests and waterfalls.